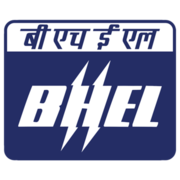 BHEL Engineer Trainee Recruitment 2018 - Apply Online for 50 Engineer Trainee Posts in Mechanical and Electrical Discipline through GATE 2018 in BHEL. Online Applications are invited by Bharat Heavy Electricals from 12 Feb 2018 10:00 AM to 12 Mar 2018 11:59 PM for 50 vacancies. Eligible candidates may apply online at BHEL's website (direct link is given below) from 12 Feb 2018 10:00 AM to 12 Mar 2018 11:59 PM.